The history of River Ranch Stockyards is intertwined with that of the legendary Fort Worth Stockyards though more than a century separates their founding. 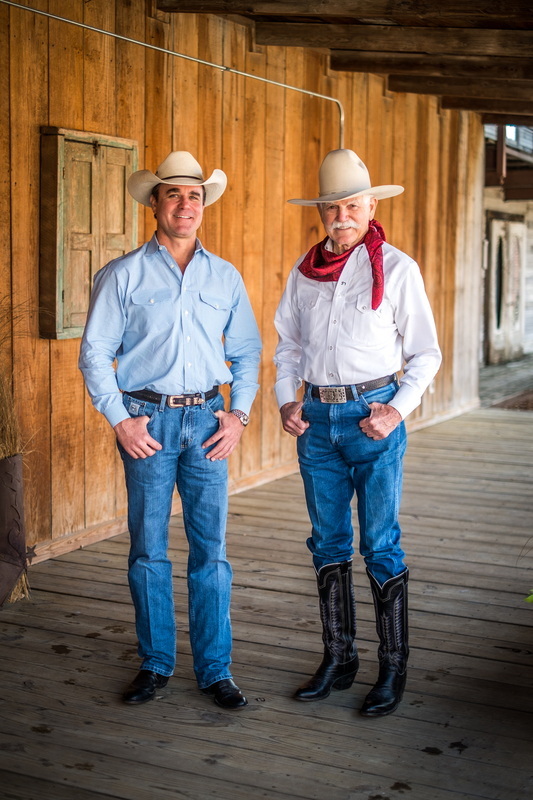 Established in 1991 by Fort Worth natives Steve and Phillip Murrin, River Ranch Stockyards is reminiscent of the rustic retreat that greeted 1880’s cattle drovers as “the last stop” before moving herds north along the Chisholm Trail. River Ranch offers the one-and-only ranch setting in the heart of Fort Worth, where friends can gather for events ranging from a 20-person business meeting to the quintessential black tie dinner. Regardless of how casual or elegant, small or large, every gathering at the ranch is steeped in the history and legends of Cowtown! The identity of this fast-growing, bustling, destination has long been associated with its history as an important livestock center – first as the last civilized stop before drovers heading their cattle up the Chisholm Trail toward the railheads had to cross the Red River into Indian Territory and later, with the arrival of the railroad in 1876, as a major shipping point for cattle. More than four million head of cattle were driven through Fort Worth between 1866 and 1890, and by 1889 the Union Stockyards was in full operation. But it took an infusion of capital from the Northeast to really make the enterprise a success. In April 1893, wealthy Boston investor Greenleif Simpson purchased the Union Stockyards for $133,333.33 and changed the name to the Fort Worth Stockyards Company. By the early 1900s, major meat packers Armour and Swift & Co. had been lured to the area, and business boomed for many years. At the height of World War I in 1917, the Fort Worth Stockyards was the largest horse and mule market in the world, and during World War II more than five million head of livestock were processed there. By the 1950s, however, activity began to decline and, by the 1970s, this part of Fort Worth history had fallen on hard times. That’s when the North Fort Worth Historical Society was chartered and the Fort Worth Stockyards National Historical District was established, preserving the city’s livestock heritage and beginning the restoration of many of the area’s important landmarks. 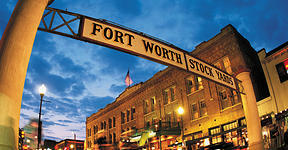 Today, the Fort Worth Stockyards is a vibrant visitor destination that attracts over 3 million visitors annually. For more of the colorful history of Cowtown and its livestock industry, we invite you to visit www.fortworthstockyards.org.